This post brought to you in partnership withDisney and generationOn. It’s no secret that kids learn by doing – and that includes serving others! We are the best role model for our kids in every aspect of life and that includes volunteering! It’s so important for kids, and their entire family, to participate in volunteer projects. And the great there is that opportunities are ALWAYS available and comes in many forms! Not only does it teach how to give back to others but it also serves as an avenue of selflessness and compassion to those who need it most. If you’re not sure where to start visit the generationOn website, put your zip code in, and scroll through a variety of volunteering opportunities in your area! Perhaps the simplest way that you can get your children involved in volunteering that my family participates in as often as possible is food donations, school supplies, and scarf/hat & jacket donations in the winter. 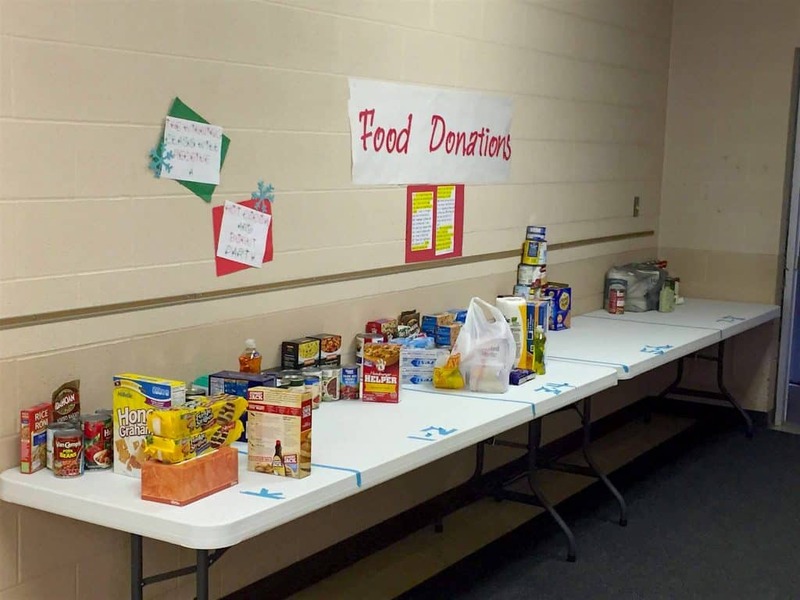 There are so many places collecting donations during the winter and letting your children pick out a few items at the store to donate can have a profound effect. Another really easy (and fun!) idea, especially for families with younger kids, is Operation Christmas Child. Just make sure you do a little research on appropriate things to fill your shoeboxes with! Family Volunteer Day is a global initiative to encourage families to get out together and volunteer in their local communities! This year it is on November 18, 2017. (typically it’s the Saturday before Thanksgiving) Don’t worry – if you already have plans that day you can volunteer anytime! The holiday season is an exceptionally great time to volunteer as it can be a really difficult time for a lot of families! One of our favorite ways to volunteer as a family is by serving the local homeless shelter and making a meal today. 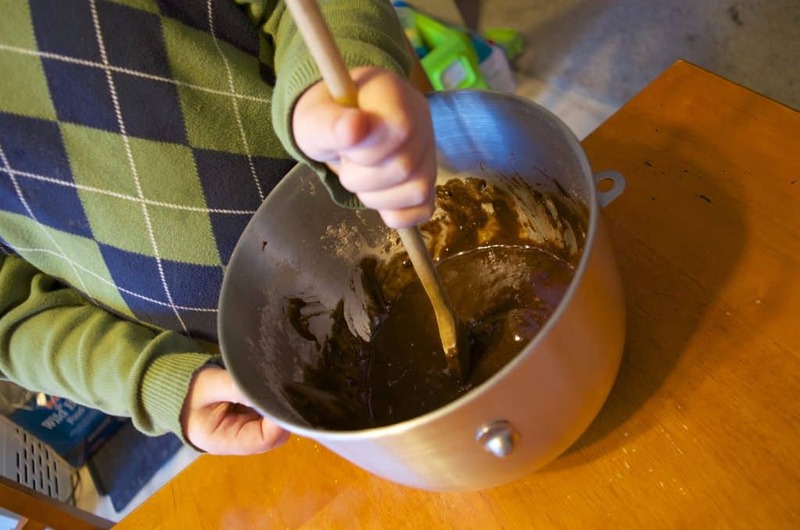 My kids get the added experience of cooking in the kitchen on a large scale, and then learning how to mingle and have conversations with people that they don’t know. In the winter when it’s very snowy we also all suit up as a family with our snow shovels and head down every block we can handle plowing the driveways of all of our elderly neighbors! 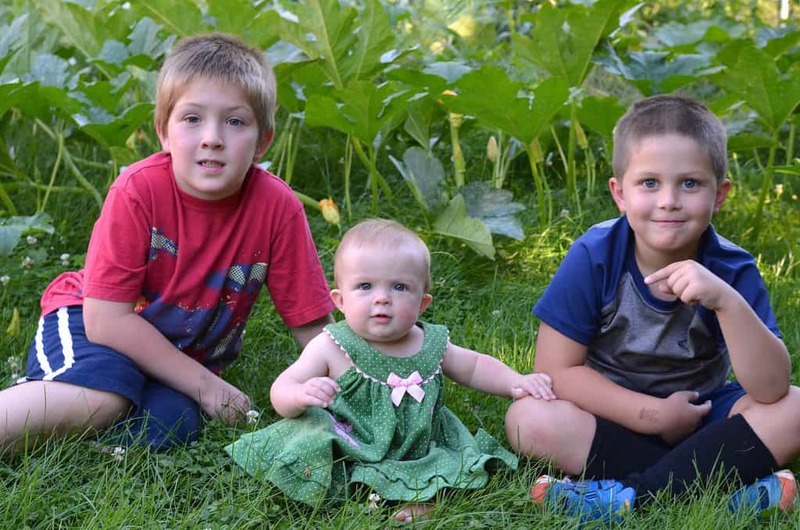 Why is volunteering important for MY family? For us personally we use volunteering not only as an opportunity to help others but also to show my kids about putting other people first. Above you can see my 3 big helpers! Usually when we volunteer my hands are full so unfortunately I don’t have any photos of them actually working! With my husband working in small private schools we are constantly volunteering for something in the community too. From helping local farmers who are elderly harvest their crops to visiting nursing homes and singing with the elderly residents – you don’t have to look very far for ways to help other people! *Communicate BEFORE you go! Explain WHAT you are doing, WHY you are doing, and what they can expect to encounter. *Remind children how to act around unexpected situations and let them know that they can ask you anything after you are done. Sometimes a “dry run” driving past a location can help. *Be mindful of nap times, meal times, etc. with young children. I like to stash some snacks in the car for munching on before and/or after volunteering. *Don’t hide kids in the background! Encourage them to work alongside you or to go out and meet new people! Don’t let them sit in a corner playing on electronics! *Verify age requirements before volunteering. For example, our local animal shelter does not let children under 16 volunteer. I really love working on community service projects because a few hands can accomplish so much! We have so much more in our lives than many people and I want our kids to give back to others. Not only because they have so much but because it’s the right thing to do. Over the years we have volunteered in such a wide variety of ways to various organizations with the involvement of our kids. It can be as big or small as you make it – but what matters is that you volunteer! In fact there are things you can even do at home too! 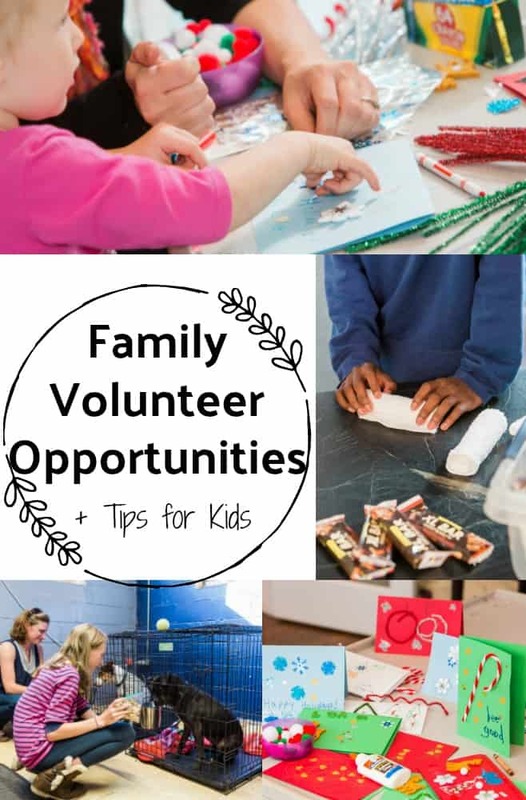 Need MORE family volunteer ideas? Check generationOn and look for the hashtag #FamilyVolunteerDay on social media! Find generationOn on Facebook, Twitter, Pinterest and Youtube!